In most earthquakes, many reinforced concrete structures suffer from minor to catastrophic damage. The most commonly observed damage is cracking and falling of the walls. But the most striking of these observations is the structural failures of multi-story buildings which have soft ground floors used for parking, called the “soft story.”Since buildings with sound construction should not experience any major damage caused by ground motion, possible damage is due to inherent weaknesses in the structural system, design, detailing, poor material quality and unsound construction practice. Therefore in earthquake prone Los Angeles having a soft story retrofit solution is crucial for older worn buildings. Why Are Soft Stories Inherently Weak? Do I really need a soft story retrofit? A large opening in at least one wall, and a lack of central supports, make soft stories more susceptible to lateral forces from a large earthquake. When they fall, the second floor “pancakes” onto the first floor. Shear wall panels won’t help much. Soft-story buildings need to be retrofitted with specially designed steel reinforcements. According to Caltech, there are more than 20,000 soft-structure apartment buildings in the city of Los Angeles alone. Only 800 of those have been seismically retrofitted, according to the Department of Building and Safety. Some Southern California cities have mandated that buildings be retrofitted to prevent collapses like the one at Northridge Meadows Apartments, where 16 people died during the Northridge earthquake. But progress on such renovations has been painfully slow — and almost non-existent. The concrete slab is broken up. New reinforcement beams are setup into place underneath the old concrete poles that hold the structure. New concrete is being poured to hold the new beams. The structure is stable again. 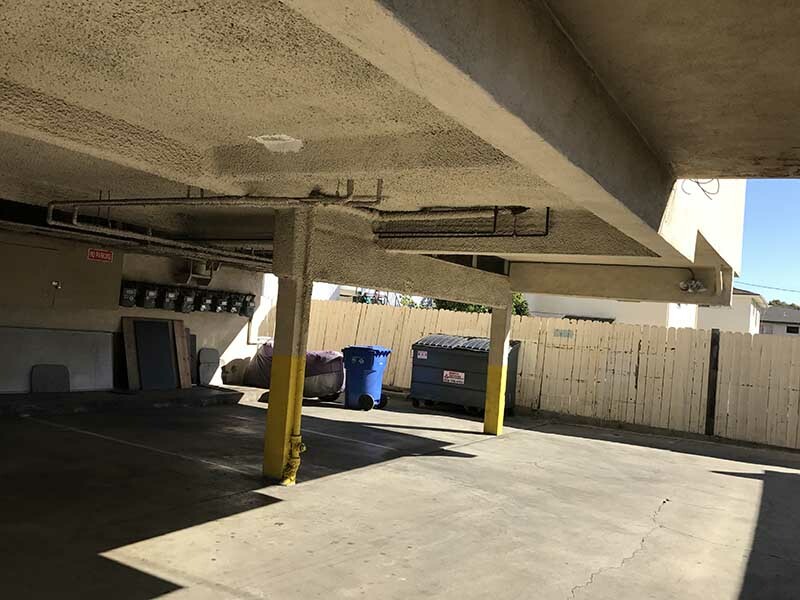 If you believe you’re in need of a soft story retrofit please contact us at http://losangelesrandc.com/contact/ or call us at (818) 635-4757 for quotes or consultation.